In 2010, Baltimore resident Jovonne Walker was a party planner and a nurse. She and her husband, Jamal, planned three parties over one weekend and had $43,000 in cash on hand that her husband was taking to the bank around 11 a.m. As Jamal stopped to talk to his friends, Baltimore City Sgt. Wayne Jenkins and his partner pulled up and searched his car. According to Bates, this was a regular tactic used by Baltimore City police to get the addresses of people whom they considered high rollers because they had expensive cars. They then went to Jovonne Walker’s house and tried to break in. Jovonne was so frightened that she pushed the silent alarm button. According to Bates, a new set of officers showed up in response to the alarm, but Jenkins and his partner said that they would handle it. They searched the house without a warrant, saying that Jovonne agreed to let them search. They later went back and obtained a warrant. They found two guns that Jovonne owned, and charged her. In the aftermath of their arrests, the couple almost lost their house. Jamal, who worked as an electrician, wasn’t able to get some clearances to work. One of their cars was repossessed. “To have your life turned upside down for almost two years, to not be able to work in a field that you’re passionate about because you have pending charges. Fearing for my kids’ life because someone was trying to get into our home. It was unfair,” said Jovonne in a press conference with other victims of misconduct by the officers in the Gun Trace Task Force who were prosecuted by federal officials. The federal conviction of eight of the Baltimore City Police Department’s former Gun Trace Task Force officers—Detectives Daniel T. Hersl, Momodu Gondo, Evodio Hendrix, Jemell Rayam, Maurice Ward and Marcus R. Taylor, and Sgts. Thomas Allers and Wayne Jenkins—for levels of corruption that range from breaking into citizens’ houses and robbing them of cash, robbing drug dealers with ski masks and selling the drugs, and racketeering conspiracy to covering up police-involved killings, filing for unearned overtime pay, planting evidence, and performing searches without warrants as well as illegal stop and seizures has reverberations for their victims who are seeking justice. The Baltimore City State’s Attorney’s Office estimates that “thousands” of cases have been tainted by the convictions of the officers. Defense attorneys like Deborah Levi, who leads an initiative by the public defender’s office to track police misconduct, and Ivan Bates estimate the number at around 3,000 after a case search. Bates is representing at least 20 clients who were arrested just by Sgt. Jenkins alone. Four officers in the Gun Trace Task Force case admitted to committing crimes dating back to 2010 or earlier. Ten more officers are being accused based on court testimony in which they were named. Federal prosecutors say that their investigation continues. Prosecutors used the racketeering statute that they usually use against drug crews and gangs for these officers. The corruption was so far-reaching that it included bail bondsmen who were sold drugs given to them by officers and police officers from other jurisdictions, like Philadelphia, who were involved. Many of the officers had racked up dozens of citizen complaints before this trial. 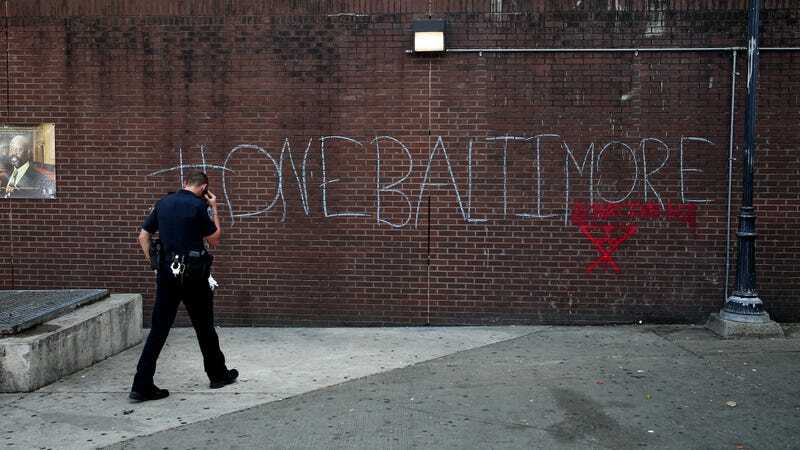 Many citizens of Baltimore aren’t surprised about any of the evidence that has come up in trial; they have complained about this abuse for years, often to deaf ears. Former Police Commissioner Kevin Davis has been fired and a new commissioner, Darryl DeSousa, appointed by the mayor. The Police Department has since said that it will implement a fingerprint-scanning technology to thwart overtime fraud and will start ordering polygraph tests on members of specialized units. In the midst of the trial, Baltimore went 12 days without a murder in the city. What’s even more complicated about the dismissal of tainted cases is that out of thousands of cases, inevitably there will be not just innocent victims of police abuse, but people who have committed crimes against the community who will walk because of these officers’ abuse of power. Another victim, Andre Crowder, said during the press conference that officers pulled him over for an alleged seat belt violation and searched his car, finding a gun. He claims that $10,000 was taken later during a search of his home. He was in jail for three days before he could post bail. In that time, his 3-year-old died. In one case, prosecutors say, police handcuffed one man, took his house keys, broke into a safe in his basement and stole $100,000 out of $200,000 found in the safe, and filmed a video showing them discovering the smaller amount.